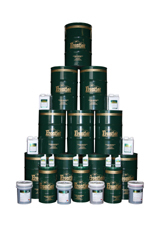 Frontier engine oils are are designed for maximum performance and protection. V.I. Plus Four Stroke Motorcycle Engine Oil No. 404 10w/40 is the ultimate in multi-grade motorcycle engine oil performance. It is a premium quality SJ Plus/SH motorcycle oil compounded with Frontier’s exclusive extender additive package ETX. The ultimate in multi-grade engine oil performance: V.I. Plus 20w/50 is a premium quality SJ Plus/SH crankcase oil compounded with Frontier’s exclusive extender additive package ETX. The ultimate in NG engine oil performance: V I PLUS NG. This superior quality, low ash lubricant is blended from high viscosity index hydro-processed group II base oils, an exclusive anti-oxidation/anti-nitration package and Frontiers exclusive extender additive package “ETX”. V I Plus NG is specifically designed for 4-cycle and select 2-cycle stationary engines which use natural or synthetic gas. The ultimate in Locomotive Oil performance: VI Plus Premium Locomotive Oil #414 utilizes the latest lube oil technology compounded with Frontier’s exclusive additive package. It has high alkalinity and is zinc free. VI Plus Premium Locomotive Oil is designed specifically for diesel engines used for power generation, oil well drilling, marine and railroad industries. It also meets the Generation 4 LL and Generation S oil requirements.